Yes, you can has Recon, but only if you're a true Vidmaster. Whether you consider it to be the lustful deity of your dreams or the scourge of the Halo community, there's no denying that Recon armor is the single most sought after article of Halo fandom. Those who seek it seem almost mad in their obsession, going so far as to hack the Xbox Live accounts of those who possess their precious Recon. What makes such a silly piece of multiplayer armor so special? Recon armor isn't unlocked through typical gameplay, but earned and handed out personally by the developers at Bungie when they feel as though someone deserves it. That may change, however, with the release of Halo 3: Recon. 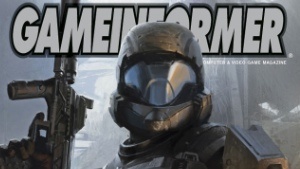 Bungie's Halo 3 campaign expansion is gracing the December issue of Game Informer magazine and inside its pages, the first solid information concerning the title. What has Halo fans most excited, however, is the revelation that the coveted Recon armor will finally be achievable by all. How so? Achievements, of course. With the recent title update for Halo 3 came a whole new set of achievements to earn. The most mysterious of which were those labelled the Vidmaster achievements -- a nod to Bungie's previous first-person shooter series, Marathon. These achievements call for players to perform under various, if not odd sets of circumstances in order to earn an incredible zero gamer points, with more in store for the next round of new Halo 3 content. According to Game Informer, should players unlock all of the Vidmaster achievements, Recon armor will be theirs. As for Halo 3: Recon itself, designer Paul Bertone says the expansion contains about three to five hours worth of new content. Bungie veteran Joe Staten stays the course of modest expectations, claiming "We do not view this as a $60 title."